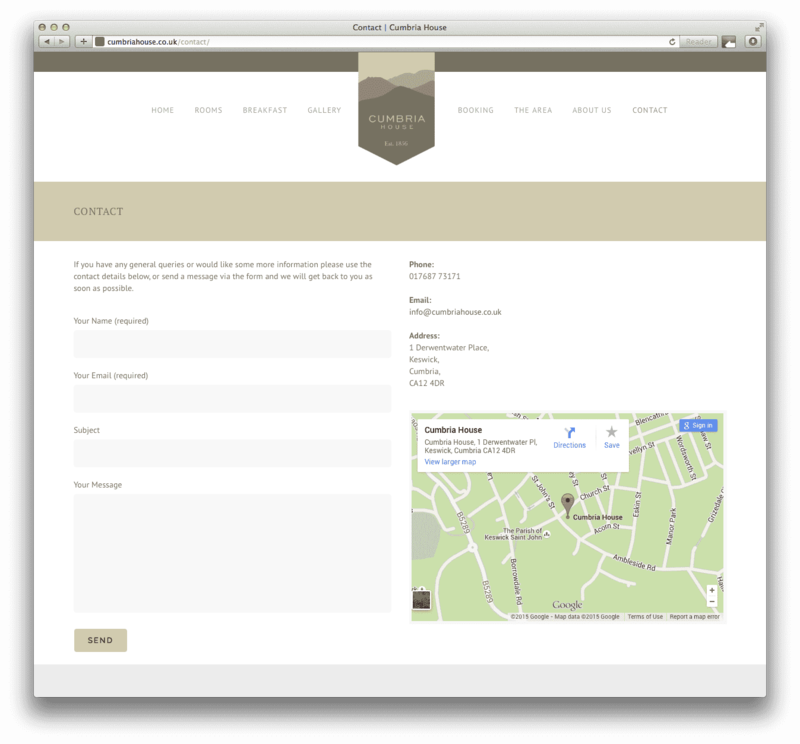 Cumbria House Bed and Breakfast | Bunting Design Co.
Cumbria House B&B is a centrally located guest house minutes from the centre of Keswick in the heart of The Lake District. 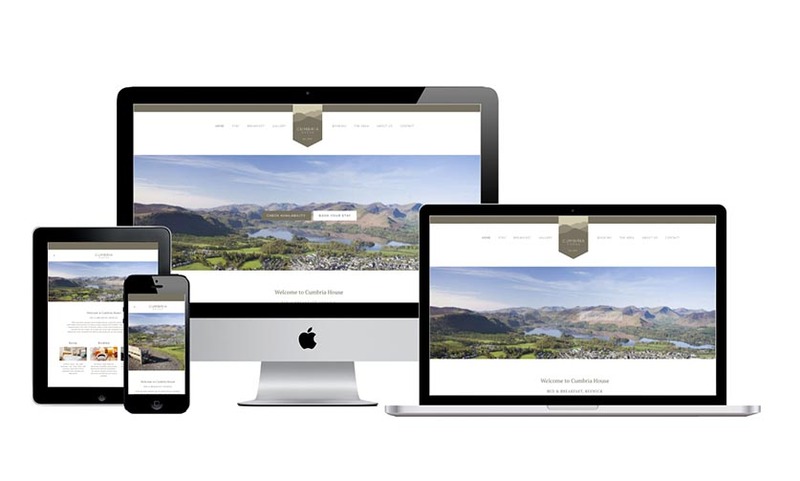 When the new owners (James & Ruth) got in touch they told us they were taking over the B&B and wanting to totally revamp the image of Cumbria House, it’s branding and website. 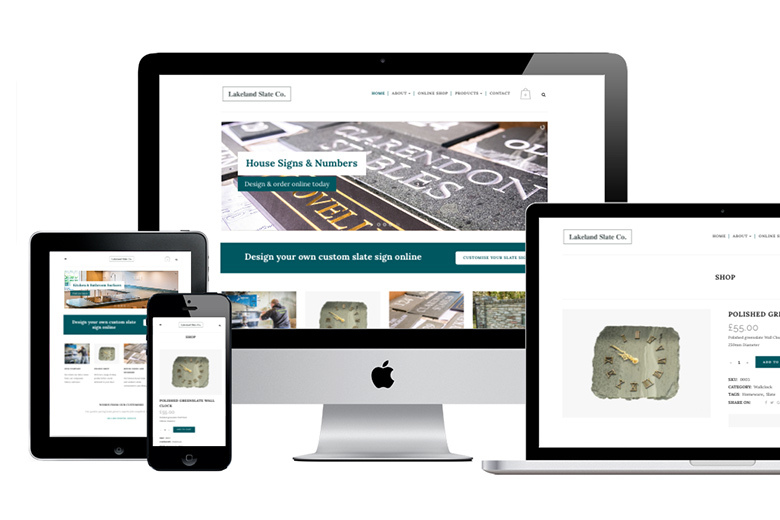 We created a branding scheme to fit with the vision that James & Ruth had for Cumbria House. 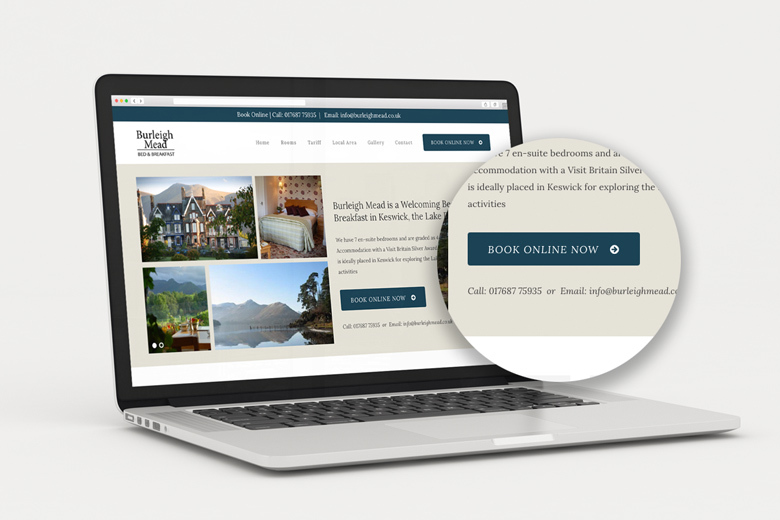 The logo had to be a contemporary design but also would suit the style and expectations of visitors to Keswick and The Lake District. 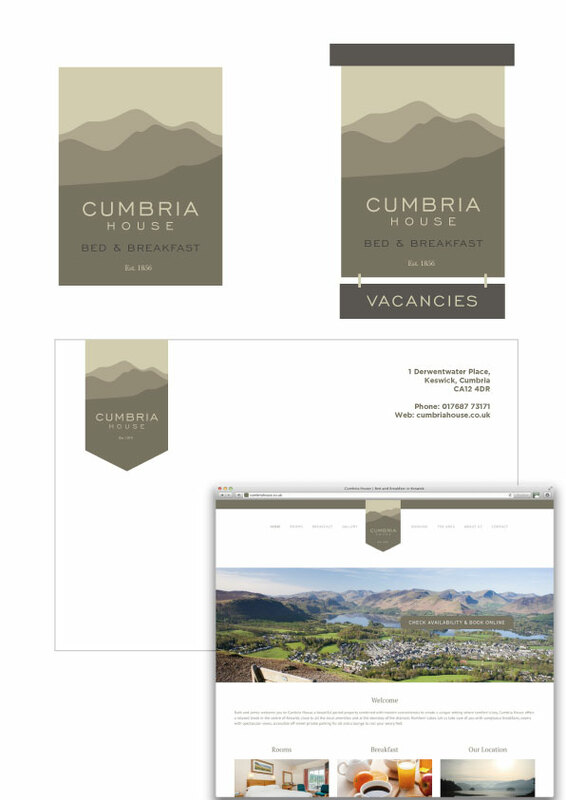 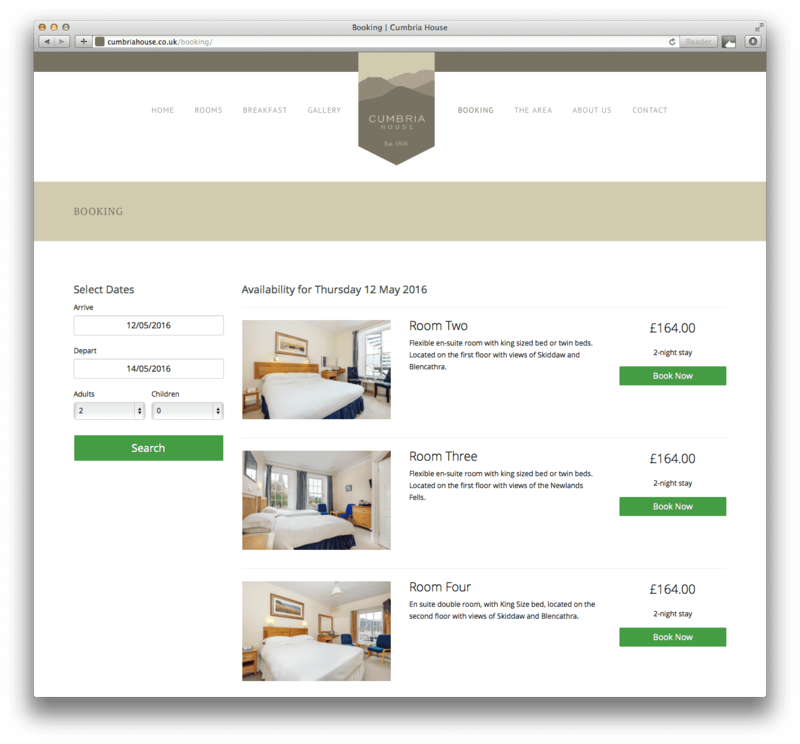 The focus of the web design for Cumbria House was to be clean minimal design, easy to navigate and informative.